An intact row of Creole cottages, newly painted, on Chartres Street in The Marigny. I’m a native of New Orleans, and my favorite pastime still is to drive, walk, or bicycle through our vibrant neighborhoods filled with old houses. From music clubs to a rum distillery, creative culture buzzes in the city’s Faubourg Marigny district, just outside the more famous, often hectic French Quarter. It offers a colorful cityscape, lots of history, and laid-back comfort. 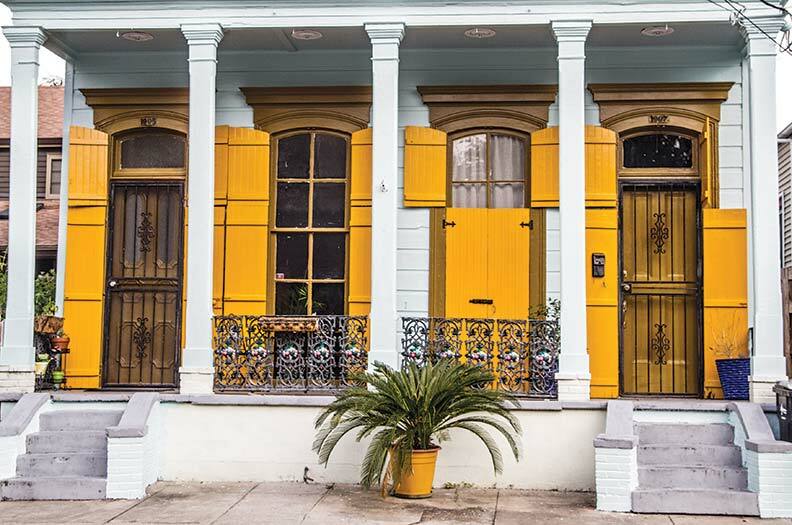 Referred to locally as The Marigny, the roughly triangular neighborhood is up against the Mississippi River. Shaded by banana leaves and palm trees, it’s a kind of liberated village where stargazers and daydreamers lounge in cafés amidst cottage rows. This is a cosmopolitan neighborhood, with residents from all over the world. Colorful shutters front historic houses throughout the neighborhood. Faubourg Marigny is a roughly triangular or trapezoidal neighborhood separated from the French Quarter (Vieux Carré) by Esplanade Avenue. The area rides the curve of the Mississippi and extends north to St. Claude Avenue. The Marigny took shape in 1806, when Bernard de Marigny, a Creole bon vivant, subdivided his plantation into building lots. A mix of Creoles, Caribbean free people of color, German and Irish immigrants, and other Americans were the roots of today’s mix of singles, couples, and art-friendly entrepreneurs. Citizens rescued the neighborhood from urban renewal, and in 1974, The Marigny was listed as a historic district in the National Register. A ginger-colored VW bus parked at the corner of Royal and Spain. The cast of characters embraces everyone: moms with strollers as well as a mutton-chopped artist pedaling along with his baby goat in the bike basket. 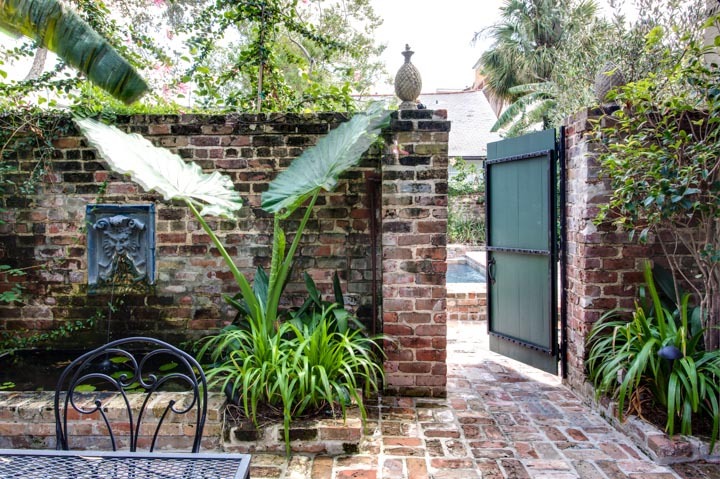 Taking after the original M. Marigny, joie de vivre is enjoyed by residents and visitors who mingle in restaurants, nightclubs, and coffee shops, art galleries and architectural salvage stores. Down Esplanade Avenue within walking distance of the French Quarter, Frenchman Street hosts two blocks of 19th-century storefronts with a dozen or more music clubs featuring New Orleans funk, rock, jazz, and blues. Celebrate with a tour and sampling at Old New Orleans Rum, the distillery founded by artist James Michalopoulos, along with other artists and musicians. 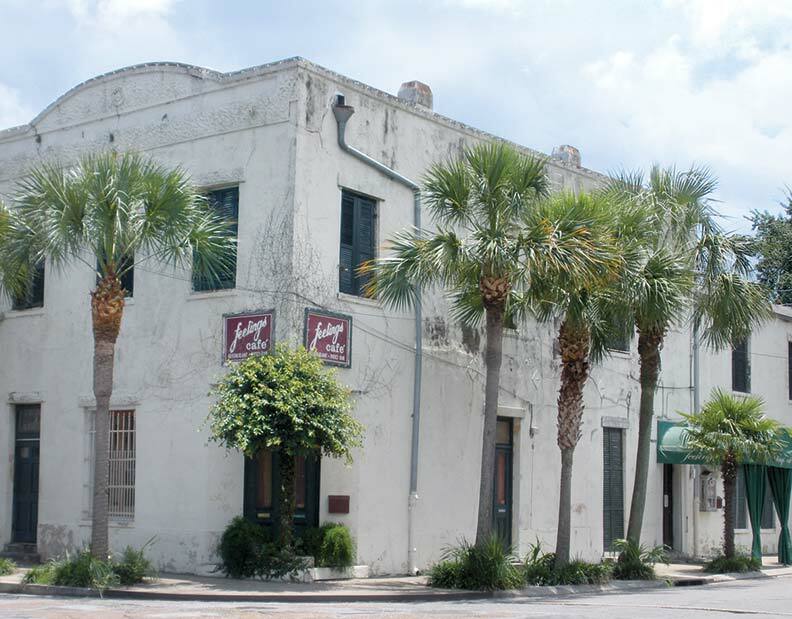 It occupies an ancient cotton warehouse on Frenchman Street. Nearby, relax or rent a bike at Washington Square, a public park shaded with a double allée of oak trees; the park was restored to its original European layout in the 1970s. 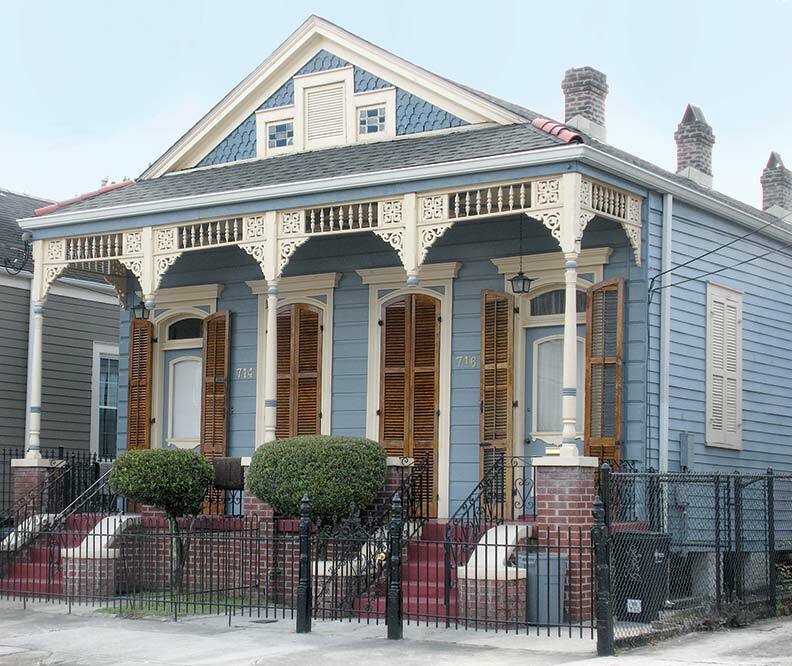 Painted in pastel blue, this classic Shotgun house retains its Victorian embellishments. 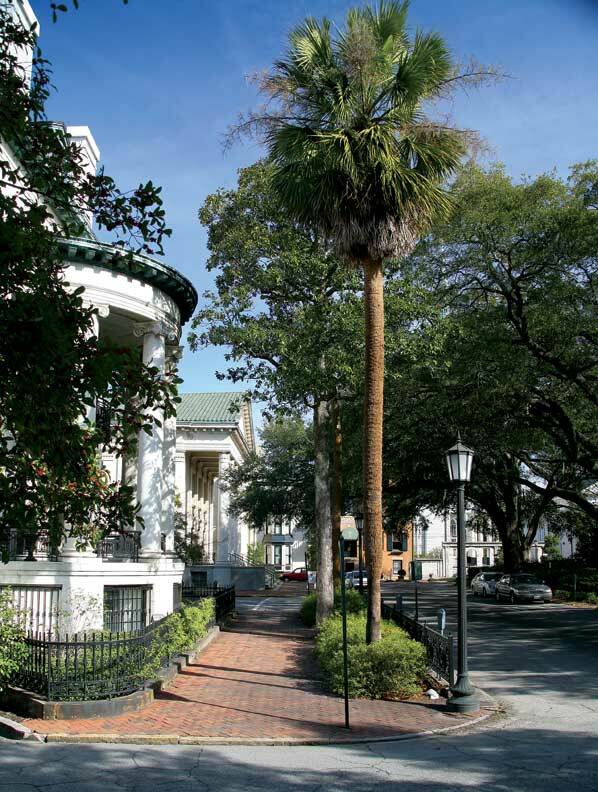 Walk or bike past rows of French and Spanish architecture splashed in tropical colors; you’ll also see stately white Greek Revival houses and mansions with leaded-glass doors and wrought-iron fences. 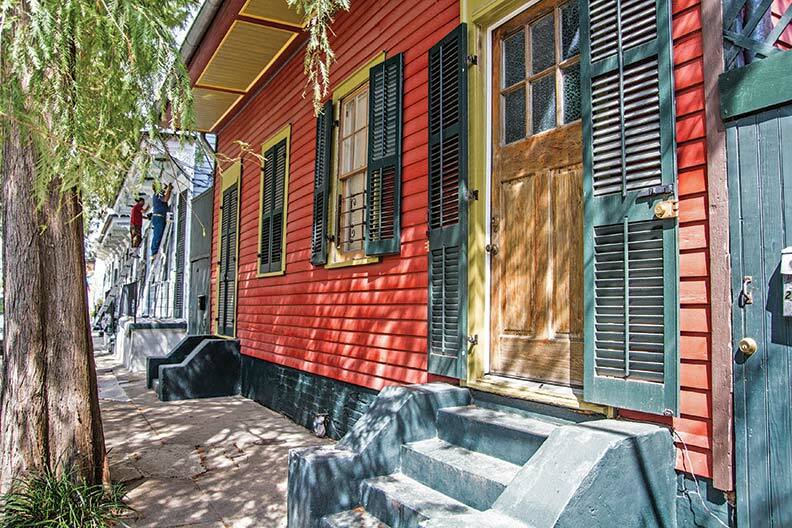 Beautiful Creole and neoclassical cottages, abandoned by residents moving to the suburbs in the 1950s, have been restored and painted in gold, red, and mossy green hues. Blooming crape myrtle trees draped with Mardi Gras beads line the sidewalks. 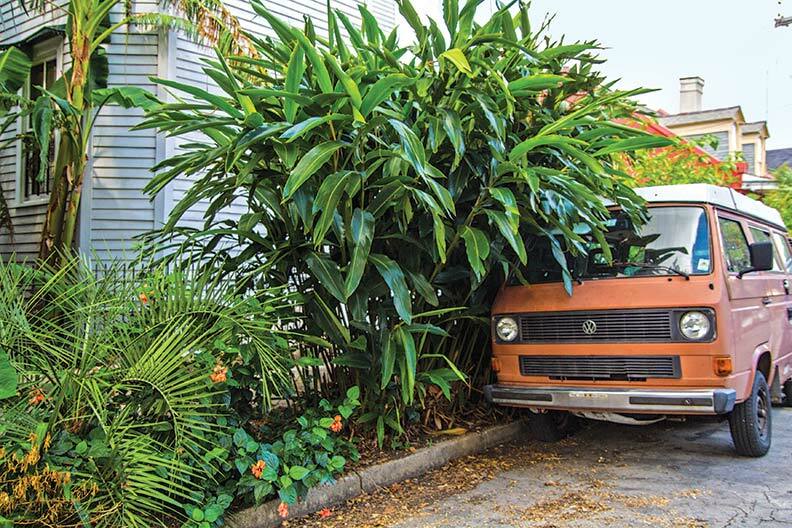 On the narrow roads you’ll see everything from new BMWs to vintage Volkswagen buses. The Feelings Café, a romantic option. One of the most romantic restaurants in the city and part of a centuries-old plantation, Feelings Café serves a seductive menu with soft-shell crawfish along with veal, seafood, and duck entrees. Sip a cocktail in the courtyard surrounded by palms and banana trees while listening to music from the Patio Lounge. Near the river, Cake Café crafts a sweet and savory breakfast/lunch menu with freshly baked breads, bagels, and heavenly cinnamon rolls. Pastel paintings hang on pumpkin-colored walls. Try their specialty cupcakes; flavors include key lime, red velvet, and Sazerac, named after the local cocktail. Fill the tank with espressos and double capps made with fresh-roasted coffee beans unloaded on the docks days before. Locals enjoy a good cup of joe from the Who Dat Coffee Café, along with the owner’s entertaining wit; he offers wall space for budding artists and photographers. For more chic décor, go to the Orange Couch for a hot or iced Vietnamese coffee (and get “a military-grade caffeine buzz”). 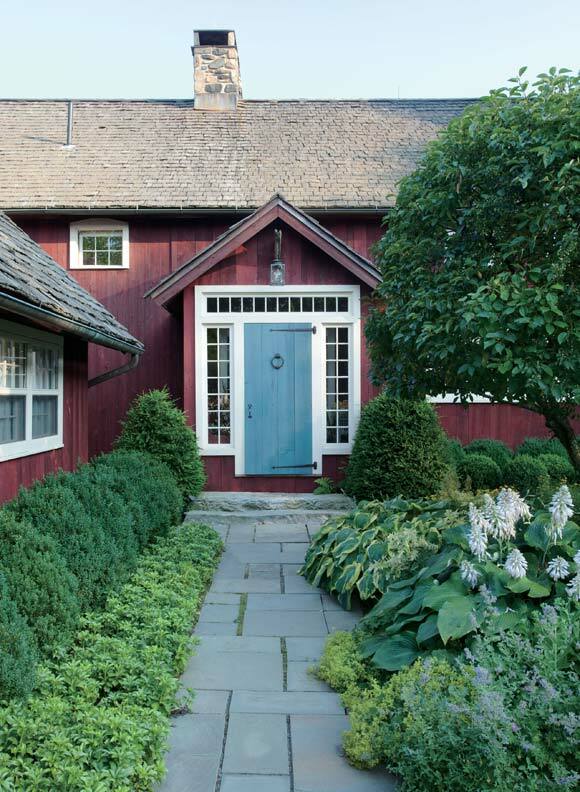 Online Exclusive: Get our recommendation for where to stay nearby. A born storyteller, Deborah Burst, is a New Orleans native who enjoys writing outdoors at her home in Mandeville. An award winning writer and photographer, she has published more than 1,000 articles and twice as many photographs on a local, regional and national level.